GameSave for Non-Jailbroken and Jailbroken. - A File Manager "iFunBox,iFile..."
* Play the game till the tutorial is over, then close the it from the multitask. * Backup your files first! . 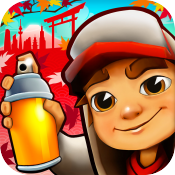 Put the "Documents" folder in : 「User Applications/Subway Surfers/」 using iFunBox.